JEFFERSONVILLE, IN (WAVE) - WAVE 3 News Abbey Road on the River will return to downtown Jeffersonville, Indiana, May 24-28, 2018. 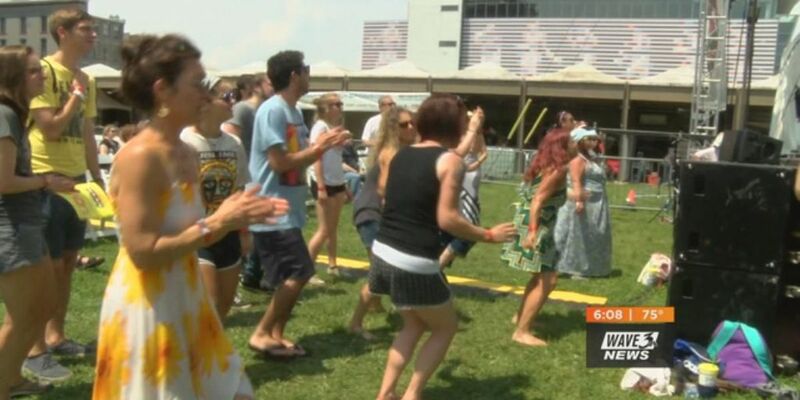 The festival is the world's largest Beatles-inspired music festival, according to organizers. The five-day event includes over 50 bands from around the world who perform on eight indoor and outdoor stages. Festival organizers announced that the 2018 lineup includes Grammy-winning band America, psychedelic rock band Vanilla Fudge, and The Beatles' primary recording sound engineer Geoff Emerick. Emerick has won four Grammy awards and was the primary audio engineer for The Beatles. He was the sound engineer for the band on the albums Revolver, Sgt. Pepper and Abbey Road. Grammy-winning band America will take the stage on Saturday, May 26. They are known for soft rock hits "A Horse With No Name," "Ventura Highway," and "Sister Golden Hair." Presentations by Emerick throughout the festival will highlight The Beatles' creative process, time in the studio and his influence on their most famous songs. The festival will be held at the Big Four Station Park in Jeffersonville for the second year in a row. WAVE 3 News Abbey Road on the River 2018 coincides with the 50th anniversary of The Beatles' The White Album.